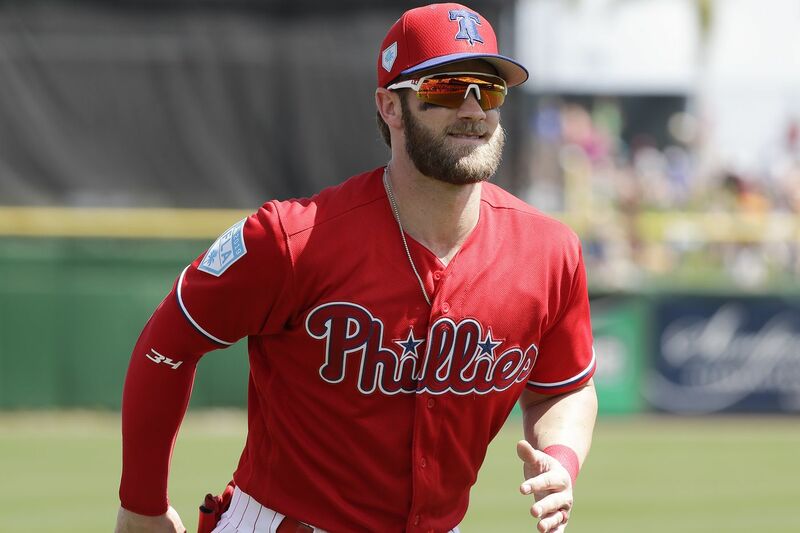 Bryce Harper raised the Phillies’ fans expectations all by himself when he signed with Philadelphia. See what I mean? There is a pastoral quality to baseball that takes us back in time to when we were children, and even before we were born. It’s timeless. The 2019 Major League Baseball season opens in dead earnest Thursday afternoon and evening. Gildshire can’t wait! Here are a few thoughts we have on the National League as Opening Day looms into our life’s windshield. Will the Phillies, who made the most off-season noise, become instant contenders? The signing of Bryce Harper made the biggest splash, but it isn’t the only move the Phillies made? David Robertson’s contributions on the mound and Andrew McCutchen’s leadership may pay dividends, as well. Often enough, though, the team that makes the most moves is a disappointment. The Phillies are co-favorites to win their division so anything but the post-season will be a season of unrealized expectations. Is the window of opportunity closing on the Chicago Cubs? The Cubbies broke a century-long (plus two years) cold streak when they won the 2016 World Series. Many thought it was the beginning of a championship streak for the long-suffering North Siders. Even though this is only the third season after that magical run, some are wondering if the shiny little bears are fraying at the edges. One preseason publication predicted the Cubs for (gulp) dead last place in their division. Gildshire doesn’t take such a dire view. That said, we wonder if the promised Cubs dynasty (or at least one more ring) is in the cards. Can the Dodgers get over the mountain and win a World Series? The Los Angeles Dodgers have won the National League West so many times in a row that a second-grader has never known another N.L. West title-holder. That’s an amazing accomplishment, but it also highlights the fact that L.A. still hasn’t won a title since 1988! How is that even possible? They have more money than God, and play in The City of Angels for heaven’s sake! At Gildshire, we don’t like to use the c-word, but those Dodger blue jerseys must be getting a little snug around the collar. So who do you have in the National League? A favorite, or someone out of the Field of Dreams cornfield? Whoever you call your team, good luck. It’s baseball season, y’all! What is better than that?